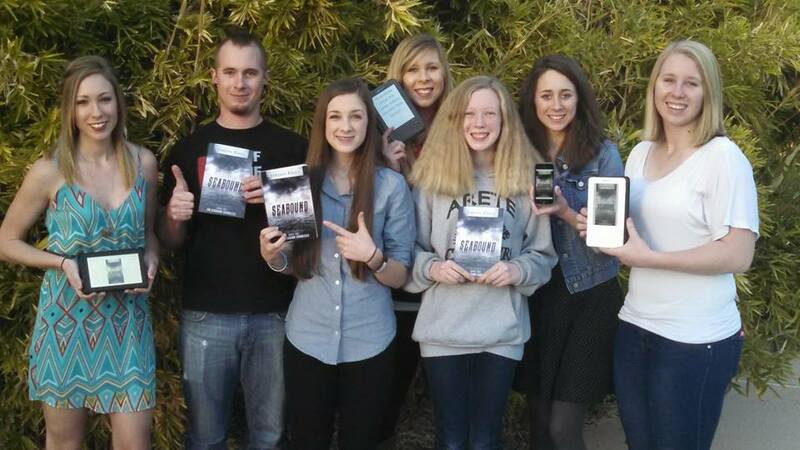 7 of my 8 siblings with copies of Seabound. The book is dedicated to them. It’s December 2nd here on my favorite island in the South China Sea, and I am sitting on 53,000 words of NaNoWriMo success. While my keyboard cools down, I’m looking at the result of the past 30 days of work. It’s not pretty. This NaNo manuscript is the final installment in my new trilogy, the Seabound Chronicles. Book 1 launched at the beginning of November, but until the last few weeks I wasn’t 100% sure what would happen in the finale. Now that I’ve written those 53,000 words, I’m still not entirely sure what happens. I began with a solid outline, but I meandered off in unintended directions a grand total of three times. I stuck in a plot twist that surprised even me–and I haven’t decided whether or not to keep it. Some scenes are mere sketches, whereas others dig into rich description and intense action. I have one particularly well developed character in one of those tangents that I may have to cut from the book and a pivotal villain character who’s still severely underdeveloped. And you know what? All of that is just fine. That’s the cool thing about writing first drafts. They are full of messy sentences and unexpected turns, but they provide the raw material that will eventually be forged into a real live book (like this one). The important thing is to get the words on the page. That’s when the real work begins. If you’re a writer, how did your NaNo project turn out? Do you have any big plans for it? Sign up to get an email when Book 2 in the Seabound Chronicles launches!